While arthritis is typically known to develop with age, the month of July raises awareness for children with the disease. Juvenile arthritis, an autoimmune disease that causes swelling in the joints, affects 300,000 children in the country and is often under-recognized. Those with the condition typically experience stiffness and soreness, making it painful to get through normal, everyday movements. Yet, one of the best ways to combat the symptoms of arthritis is just that — movement. Because the disease causes tissue inflammation, the wear and tear of typical exercise can create increased swelling and more pain. However, there is one method of exercise that is proven to lessen those symptoms, aid in rebuilding strength and flexibility, and encourage having fun while doing so. Hydrotherapy utilizes simple exercises and rehabilitation movements that are normally performed on land, but instead the patient performs them in the warm water of a hot tub or pool. 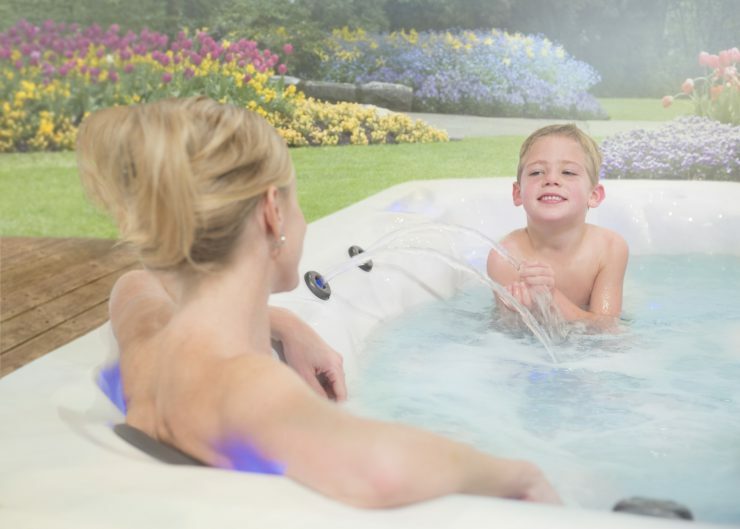 While the impact of gripping monkey bars or stomping around the basketball court may increase a child’s pain, exercising in the warm water of a hot tub is an alleviator, as well as a fun way to put the excitement back into physical activity. The buoyancy of water creates a safer and lower impact environment for exercising, compared to performing the same activity on land. In fact, when in water, the majority of the body’s weight is supported, enabling land exercises to be performed without the risk of muscle and joint swelling. While pools are an option for hydrotherapy, hot tubs and swim spas provide the additional opportunity to incorporate the benefits of hydro massage, using water from the spa jets as a massaging mechanism to relieve pain and improve flexibility. Another benefit that is unique to hot tub hydrotherapy is water temperature. Warmer water helps muscles relax, creating increased flexibility, while cooler water increases blood circulation. For a child living with arthritis, soothing the joints and muscles is essential to living an enjoyable life. Depending on the needs of the patient, the temperature of the hot tub can be manipulated to help reduce pain and perform exercises that could not otherwise be accomplished. Because July is the month that the Arthritis Foundation focuses on how the condition affects juveniles in particular, take advantage of the opportunity to teach your child about his or her own health and how important exercise is to maintaining a healthy life. Whether or not he or she is living with arthritis, the special month can spark a conversation about the impact of the disease as well as the specific hydrotherapeutic exercises that provide unmatched relief for those who are living with the condition. Most importantly, it creates a fun, painless and healthy opportunity for those living in continuous pain to find much-needed relief. Struggling With Chronic Pain? Try Aqua Therapy.